For years we have known that DNA and genetics are the keys to unlocking many of our biological secrets, and that led to the development of genetic research. 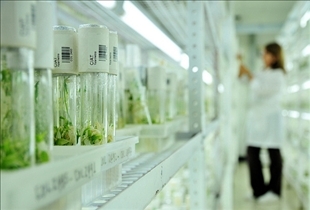 Genetic research has now become a commercial business through companies like 23andme and Navigenics. Each of these companies offer the public the opportunity to have their genes tested and see what the risks of certain diseases are, as well as their predispositions to certain situations are like male pattern baldness, allergies, and so on. The genetic research field has faced their share of troubles, but are still thriving today. The future of this field of work in unsure, but it is moving forward for now. 23andme has been around the longest of the two having been founded in 2006. Navigenics was founded one year later in 2007. Both companies are DNA focused and provide similar information, but Navigenics is a much more health related focus. They look at what your risks are of getting certain diseases. 23andme does as well, but they are more focused on empowering individuals with research and expanding the research capabilities of the industry as a whole. Both Navigenics and 23andme have faced their fair share of controversy. In the beginning, the state of California tried to block them both from being offered in their state due to the fact that they were “diagnostic” in nature and needed a doctor’s recommendation. The companies countered that logic by saying that their products were “educational” in nature rather than diagnostic, and should not be governed in that manner. These products are only available in 25 states without any restrictions or limitations, but they are still in operation in California. It is not known how this might affect the industry in the future, but for now they are operating. Many people swear by the results and they have even been featured on Oprah Winfrey. There is little doubt that the industry is becoming more mainstream as we speak. 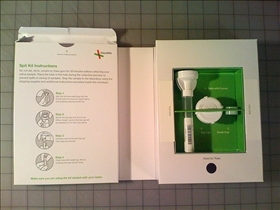 Both 23andme as well as Navigenics are found on the Internet, and offer direct genetic testing to consumers. 23andme was founded by Linda Avey and Anne Wojcicki. Their home office is found in Mountain View, CA. Navigenics was founded by Dr. David Agus and Dr. Dietrich Stephan. Navigenics is located in Foster City, CA. While they both are located in California, they offer these gene research packages to many other places via the Internet. Regulations do exist through so be sure to check with your local area first. While both of these companies are focused on very similar subject matter, they are still quite different in what they look for and find. Many people that use one may still use the other simply for that reason. Also, the cost of this genetic research is no longer as expensive as it once was. For this reason, more and more people are submitting their genetics for testing, and finding out more about their health and tendencies. Which one would you choose to test for your genetic predispositions? For those that are interested in learning more about genetic testing and how learning about your genes can help you protect yourself and your children against disease, check out the new, nontechnical book "Outsmart Your Genes" by Dr. Brandon Colby. More information is available at the book's website, www.outsmartyourgenes.com. In the book, Dr. Colby discusses direct to consumer genetic testing, including 23andMe and Navigenics, and how to avoid common pitfalls before you choose what company to use. I just read the book and highly recommend it for anyone interested in the field. Inhaler vs. Nebulizer: What is the difference? Plastic Surgery vs. Cosmetic Surgery: What is the difference? Asthma vs. Bronchitis: What are the signs? Nicotine vs. Caffeine: Alert or Antsy?